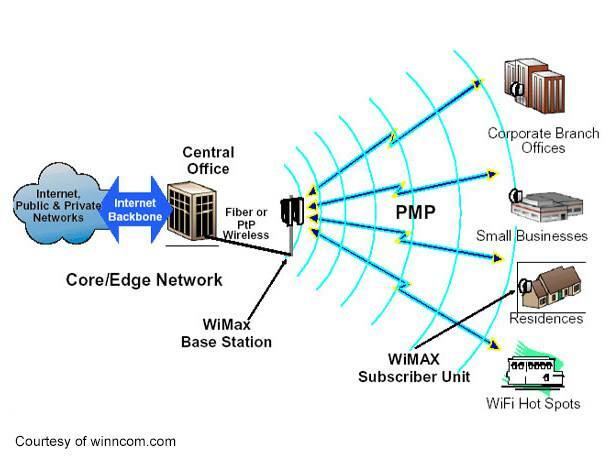 WIMAX is designed for point-to-point (PTP) and point to multipoint (PMP) links in the 3 and 5 GigHz range and TCP/IP. We use them for short links on trailers or small RBS back to a node. They can be used on omnidirectional antennas or directional panels on trailers and skids.